Kumily, hidden in the lap of mother nature, where life slows down to a snails pace. 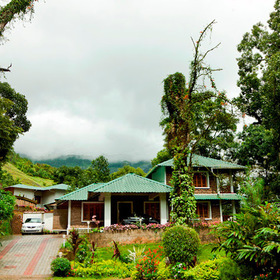 Nestled around the famous Periyar Tiger Reserve in Thekkady and lauded by WWF as one of the worlds best maintained reserves forest’s, it is home to rare flora and fauna. 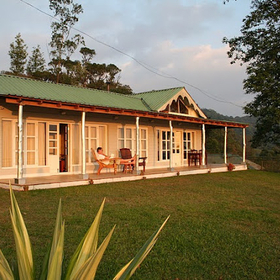 Located 700 m above sea level and an outpost of the British Raj, Thekkady promises cooler climes, aromatic spice plantations that border the sanctuary, old bungalows, traditional cuisine and wildlife sightings at the reserve. Kumily… nature at its best. 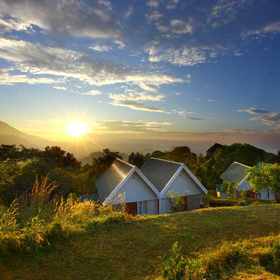 Wake up to the breathtaking sight of ethreal mist descending gently into the verdant valley or to the chirping of birds floating through the morning sky. Breathe in the fragrance of wild flowers and ripe tropical fruits as you begin your day. 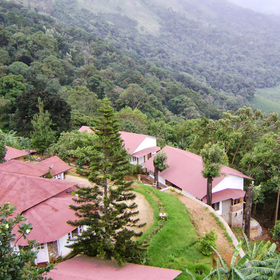 Hills and Hues, Thekkady is located just short of 4 kms from Thekkady town, nestled on the edge of a mountain, on a prisitine stretch of forest land the project straddles the Kerala Tamil Nadu border. 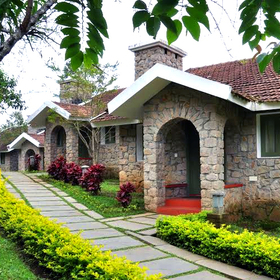 190 kms from Cochin International Airport and 145 kms from Madurai Airport. Well furnished rooms with modern amenities and beautiful interiors. Dine at the bright & sunny specialty restaurant with a commanding view of the valley. The restaurant serves cuisine from around the world along with kerala specialities and delectable dishes prepared from produce grown on the property.